When you sell an investment and profit from the sale, the transaction is usually subject to a capital gains tax. A 1031 exchange can allow you to defer these taxes, provided that you reinvest all of the sales proceeds into another like-kind investment. A 1031 exchange takes its name from Chapter 1031 of the Internal Revenue Code (IRC) and typically involves the sale of rental, vacation, or investment property, but can also involve the sale of personal property, such as planes, yachts, artwork, etc. 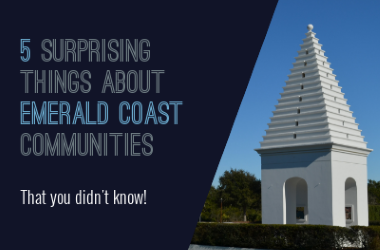 This article explains 11 important things you need to know about 1031 exchanges in Florida. As mentioned above, a 1031 exchange will allow you to defer the capital gain taxes on investment property you sell, as long as you reinvest all of the proceeds into another investment property. So, exactly how does this benefit you as a Florida real estate investor? Let's say you made a $200,000 profit on the sale of rental property, for which you will incur $70,000 in capital gains taxes. You would then only have $130,000 left to roll into another property. If we then assume you will need to put 25% down on the new property and that the mortgage-to-value ratio is 75%, you would only be able to purchase another property with a value of $520,000 or less. However, a 1031 exchange would allow you to defer the $70,000 tax liability, giving you $200,000 to reinvest in the purchase of a replacement property. Given the same assumptions regarding the down payment and mortgage-to-value-ratio as above, you would then be able to purchase a replacement property with a value of $800,000, rather than the $520,000 property you would be able to afford otherwise. What this example demonstrates is that a 1031 exchange can allow you to build wealth faster by keeping all your money working for you instead of going to taxes. In order to qualify for a 1031 exchange, the property you sell must have been held for business or investment purposes. In fact, the property you sell and your replacement property must both be considered held for business or investment. If not, the IRS may disallow your exchange. Income Producing Property - a property with rental activity would be income producing and therefore qualify for a 1031 exchange as being held for business purposes. Everything regarding a 1031 exchange is based on long-term investment intent. If your goal is immediate resale rather than long-term investment, then you may not be a good candidate for a 1031 exchange. Hold on to the property for at least a year and a day to reach the long-term capital gains tax rate. 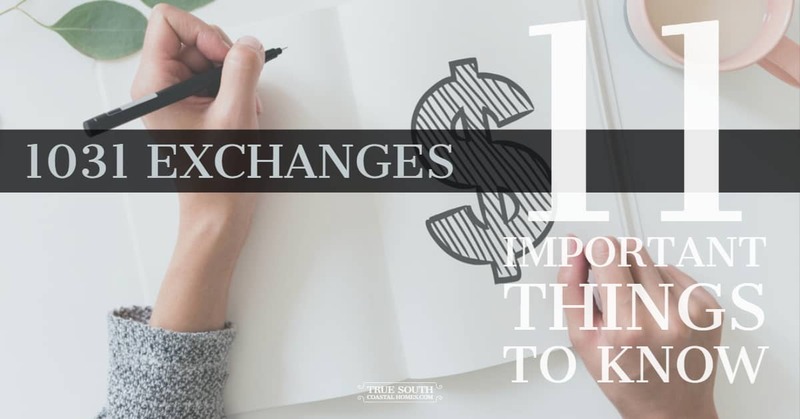 It is import to note, however, that accomplishing these two things alone will not always allow your fixer-upper or flip to qualify for a 1031 exchange. You may have to establish other facts and circumstances, such as a rental history and depreciation, as well. So, you should first consult with a CPA who has experience with 1031 exchanges. To qualify for a 1031 exchange, both the property sold and the replacement property must be like-kind. This can be confusing for some investors because they mistakenly believe that this means they have to reinvest in the same type of property that they have sold—residential property for another residential property, for instance. This is, however, not the case. A like-kind property can be any type of real estate. For example, you can sell a residential rental property and purchase land, sell land and purchase an office building, and so forth. On the other hand, you cannot sell investment property and replace it with property intended for personal use. Furthermore, you cannot sell property in the United States and then defer taxes by reinvesting in a foreign property (or vice versa). For a relinquished property to qualify, you must have owned it for at least 24 months immediately prior to the exchange. Likewise, for a replacement property to qualify, it must be held for at least 24 months after the exchange. For every 12 months of the qualifying ownership period mentioned above, you must have rented the property to another party at fair market value for at least 14 days. You may rent the property to a family member if the family member uses the property as their primary residence and pays fair market rent. You must have not occupied the property for personal use for more than 14 days or 10% of the number of days the property was rented out, whichever is greater. Use by yourself, a family member, or anyone who has an interest in the property. Use by anyone who uses the property under an arrangement that also allows you to have some use of the property. Use by anyone who rents for less than the fair market value. Whether a residential or vacation property is rented at fair market value is determined based on all the facts and circumstances that existed when the rental agreement was signed. A vacation property that does not meet these requirements may still qualify for a 1031 exchange as relinquished or replacement property, but all other applicable legal requirements will, of course, need to be met. In order to use a 1031 exchange to defer all of your capital gains tax, you must reinvest 100% of the cash you receive from the sale of your relinquished property. This means that the cost of your replacement property must be equal to or greater than the net sales price of the property you sold. For instance, if you sold a beachfront condominium for $250,000, then for a valid 1031 exchange, you must spend at least $250,000 to purchase one or more replacement properties, so long as the combined reinvestment is equal to or greater than the net sales price of the condominium you sold. If you purchase a replacement property of lesser value, you will only qualify to execute a partial exchange and any money not spent will be taxed at the applicable tax rate. It is also important to note that 1031 exchanges are tax-deferred and not tax-free. If you eventually decide to sell your replacement property, you will have to pay the taxes you previously deferred, unless you roll the proceeds over into another 1031 exchange. To successfully defer taxes with a 1031 exchange, you are not allowed to touch the sales proceeds from your relinquished property. Instead, you must use a Qualified Intermediary and let them handle the transfer of funds for you or risk having your 1031 exchange disallowed. Working with a qualified intermediary (QI), also referred to as a 1031 facilitator, agent, or exchanger is essential to your 1031 exchange as it is required by the IRS to successfully complete a tax-deferred transaction. Hold and safeguard your 1031 sales proceeds between the sale of your relinquished property and the purchase of your replacement property. Work closely with you to ensure that the necessary paperwork is completed properly and that all of the statutory deadlines are met. Guide you through the 1031 exchange process and ensure that all of the requirements for a valid 1031 exchange are fulfilled, which will then allow you to defer your taxes. The goal of the IRC is to make sure that the party that is holding your proceeds is genuinely neutral and does not have any agency relationship with you. So, the bottom line is that your QI should be a neutral third party. Anyone, who has had any agency or fiduciary relationship with you within the past two years is automatically disqualified from acting as your QI. You have 180 calendar days from the day the sale of your relinquished property closes to close on your replacement property. However, you have only 45 calendar days to identify potential replacement properties that you wish to purchase and formally submit this list to your QI. There are no exceptions or extensions given for either the 45-day identification period or the 180-day closing period deadlines. Miss either of these deadlines and your 1031 exchange will be disallowed. The 3 Property Rule - allows you to identify three properties of any value as potential replacement properties. The 200% Rule - allows you to identify more than three potential properties to purchase, but their combined value cannot exceed 200% of what your relinquished property sold for. The 95% Rule - allows you to identify any amount of properties, of any value, but you must close on 95% of the total amount identified. You don't have to be in escrow or have a contract on any of the properties you wish to identify as potential replacement properties. However, you must formally identify them to your QI within the 45-day period allowed. After the 45-day identification period has elapsed, you will only be allowed to purchase properties that you have formally identified on your 45-day list. If you are unable to buy any of these properties for any reason, then your exchange will be disallowed, and you will be subject to capital gains tax on the sale of your relinquished. A simultaneous exchange involves an investor closing escrow on the property they sold and their replacement property on the same date. A simultaneous exchange is the oldest form of 1031 exchange. In fact, prior to 1991, most 1031 exchanges were simultaneous exchanges in which one taxpayer would exchange property directly with another taxpayer. A simultaneous exchange works great if you and another party each have a property that the other wants. For example, when two farmers each have farmland that the other desires, the two can basically swap properties, and in some cases, even without involving a QI or any other third party. A delayed exchange also called a forward or deferred exchange, is generally what is referred to when one discusses a 1031 exchange and is the most common type of 1031 exchange executed. In a delayed exchange, you sell a qualified property one day and purchase a qualifying replacement property sometime within 180 days later. Most people structure their 1031 exchanges as delayed exchanges because it allows them the time and flexibility to sell the property they wish to relinquish to one party and then purchases the replacement property they desire from a different party. In today’s real estate market, it can take a long time to sell your current property, but you don't want to miss the opportunity to acquire a new property when the price is right. A reverse exchange can allow you to seize the moment when you see a great deal. What's more, a reverse exchange can be useful when you've already made an offer on a replacement property, but the property you want to relinquish isn't selling as fast as you anticipated. This is because, with a reverse exchange, you can buy a replacement property first and then later defer taxes on the sale of a relinquished property, provided it is sold within 180 days. A reverse exchange can be an exceptionally powerful tool for an investor who must act on the purchase of a new property immediately. However, since banks don't always give loans for reverse exchanges, and you won't have money from the sale of your relinquished property (because you haven't sold it yet), a reverse exchange is usually only an option for those with a lot of cash to purchase with or who are willing to go to a hard money lender to finance the purchase. For this reason, reverse exchanges only account for approximately 5% of all 1031 exchanges. A construction exchange, also known as an improvement or build-to-suit exchange, can allow an investor to purchase land and build a replacement property to their own specifications so that they get exactly the replacement property that they need and want. You sell the property you want to relinquish and the proceeds are transferred to your QI. Then you find a piece of raw land or property that needs to be rehabbed and negotiate the lowest price you can get. But, rather than closing on the property yourself, you instead empower your QI to acquire the property for you. Your QI then holds title to the property during the remainder of the exchange period and use the remainder of your exchange funds to pay for construction or improvements to the replacement property. Once the construction has been completed, the improved property will be transferred to you as replacement property. A construction exchange can also be performed as a reverse construction exchange, whereby your QI purchases property on your behalf and initiates improvements before your relinquished property has been sold. With the right help, a 1031 exchange can be a very simple process and allow you to enjoy the benefit of deferring 100% of your capital gains taxes. This, in turn, will allow you to keep all your money working for you, so that you build wealth faster. Kim Bauman, P.A is a professional REALTOR® with Amerivest Realty and can help you identify replacement properties, coordinate any real estate transactions and refer you to a reputable attorney, CPA, or title company qualified to act as the QI in your Florida 1031 exchange. She specializes in coastal real estate from Destin and Niceville to 30A and Inlet Beach in Florida. If you have any questions, feel free to call us at 404-395-4381.